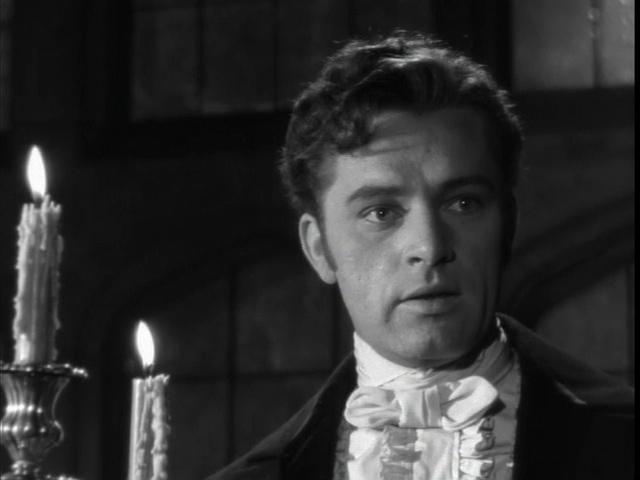 To see Richard Burton in “My Cousin Rachel” (20th Century Fox, 1952) is to understand why, for so many years, he was one of the most famous men on the planet. After “Who’s Afraid of Virginia Woolf?” Burton made a series of depressingly terrible pictures, and was often as bad as or worse than the bum material he appeared in. 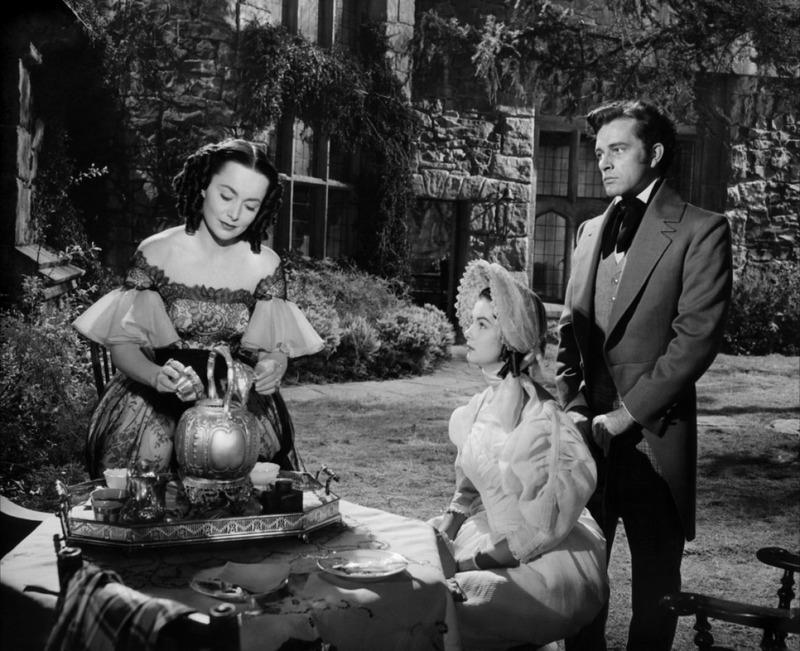 But his Hollywood career began auspiciously in 1952, when he starred as Philip Ashley opposite Olivia de Havilland (as Cousin Rachel) in this Cornish gothic mystery. He’s superb in “My Cousin Rachel” — it’s a real star-making performance. And he certainly never looked better. 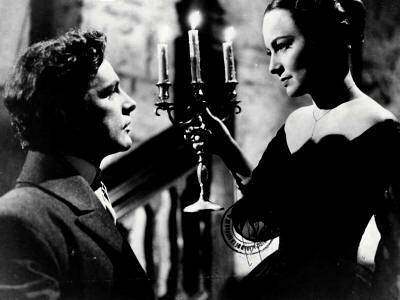 Richard Burton as Philip Ashley: So that’s what all the fuss was about. The picture is based on Daphne du Maurier’s best-selling novel and is in every way superior to “Rebecca,” with which it has much in common. Both stories are full of ambiguity and miscommunications, and both are set on the blustery coast of Cornwall. But “My Cousin Rachel” is murkier, more mysterious and has a greater sense of mounting dread, doubt, suspense and episodes of delirium (what used, in Russian novels, to be translated as “brain fever”). Brain fever is what “My Cousin Rachel” is all about. In “Rebecca,” suspense and mystery are created by withholding essential pieces of information from the audience until the end. Were that information known in advance, the story would lose most (though certainly not all) of its interest. “My Cousin Rachel” is different: when Cousin Rachel enters the life of the high-strung young Philip Ashley, he believes she is responsible for the death of his beloved guardian, Cousin Ambrose; for the rest of the story, we must try to determine whether she’s a cunning villainess or the near-saint that she appears to be . . . Whether this question can be answered remains for the viewer to decide, but whatever the answer is, the mystery remains full of ambiguity and dark corners. Here’s how the picture opens. These first few minutes should give you a clear sense of what the rest of the picture is like. As a character, Rachel is full of surprises — alternately loving and peremptory, compliant and steely. De Havilland navigates the contradictions with ease and skill. She’s not a particularly exciting actress, but there’s real pleasure in watching her handle difficult material so gracefully and intelligently. 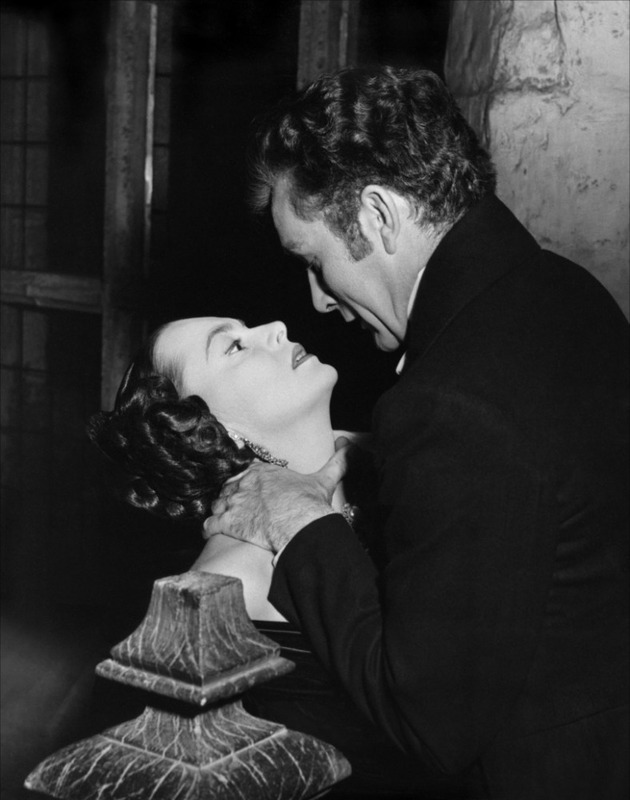 Olivia de Havilland, Audrey Dalton, Richard Burton: Rachel, my torment; what is she up to? This entry was posted in Main and tagged Audrey Dalton, Daphne du Maurier, Frederic Wakeman, Jed Harris, My Cousin Rachel, Nunnally Johnson, Olivia de Havilland, Philip Ashley, Rebecca, Richard Burton, The Hucksters on March 11, 2013 by TR.